For us Foodies, there is indeed an App for That. Smart kitchen devices are nothing new but these two products are worth reviewing. 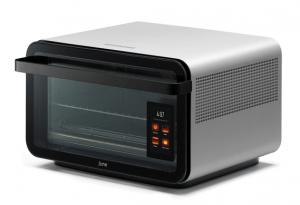 The June Oven ($600) boasts seven appliances in one. It will identify what you are cooking via a camera located in the oven, and with the smartphone app, you can watch in real time and control the operation. The oven will notify you when cooking is complete via the temperature probe. It’s a pretty amazing product. 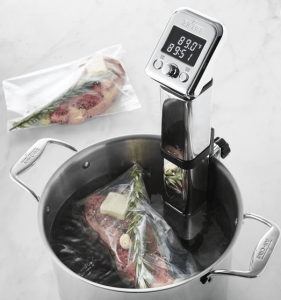 Along this line, and on my list, is the Anova Sous Vide ($199 at Williams Sonoma). Sous Vide means precision cooking. Anova has an assortment of recipes, including desserts, but my favorite are the steaks. The concept of water cooking steak may be very foreign to you but by searing it after you cook it, you produce amazing flavor and consistent results every time. Here’s a manufacturer YouTube video.